Storage and Longevity: Heat, light, and water and oxidation are the biggest opponents to the longevity of oil and vinegar. Keep your bottles stored in a cool, dry, dark place. A cabinet or pantry is ideal. Oil left in the refrigerator will solidify and will not pour out of the bottle so we do not recommend using the refrigerator for storage purposes. We recommend consuming the oil within 18 months. Storing balsamic vinegars in the fridge is optional as it has no effect on longevity. True balsamics get sweeter and thicker with age and do not expire. 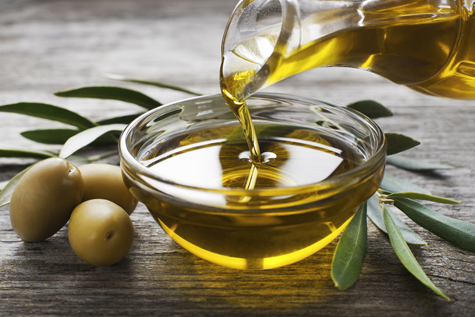 Choosing an EVOO: For customers looking for a quality EVOO there are a few things to look for. When choosing any oil for cooking, a low FFA (free fatty acid) count is desirable, ideal EVOOs for cooking are below .3 FFA. It is important to note, that even low FFA EVOOs should not be used for high heat cooking, or frying. When looking for an EVOO for it’s health benefits and cancer fighting properties, the polyphenol count is what should be looked at. Polyphenols are antioxidants and also help preserve the oil’s life. The higher the Polyphenol count the healthier the EVOO for you! However, EVOOs with a high polyphenol count are almost more robust in flavor, and should be avoided if you do not like a strong EVOO taste. Crush Date is aso good to look at for those who use EVOO minimally and intend to buy large amounts for long term storage and usage. It is important to note the EVOOs are seasonal and even each season of the same olive oil may taste different, depending on regional weather and environmental patterns.